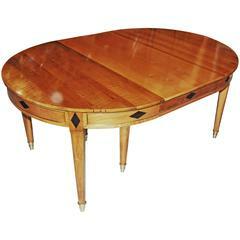 19th century Directoire style pearwood dining table. 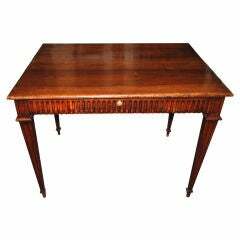 19th century walnut drop leaf table. 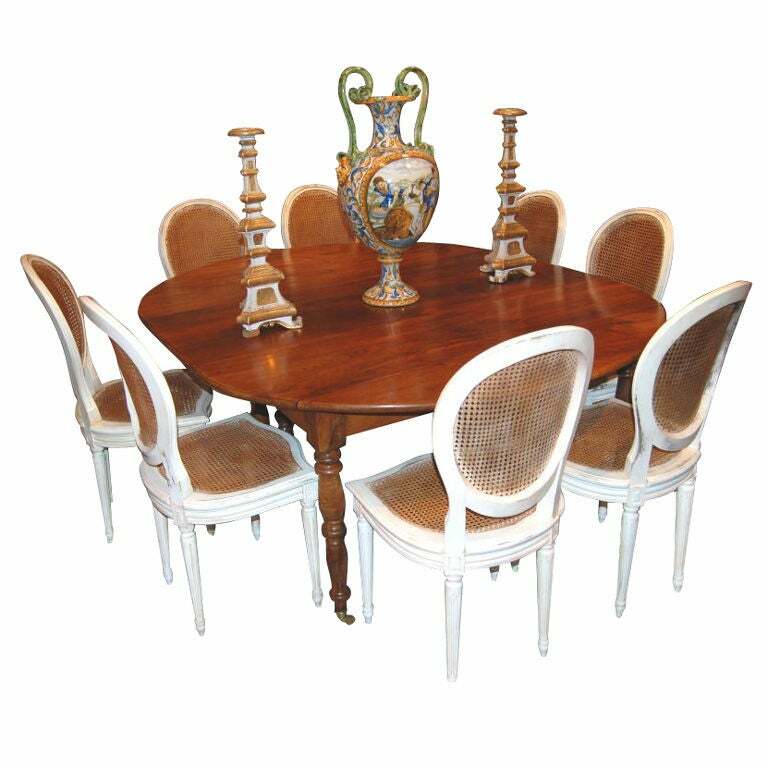 Simply elegant Italian Directoire extension dining table including two solid walnut extension leaves perfectly matched to the table. 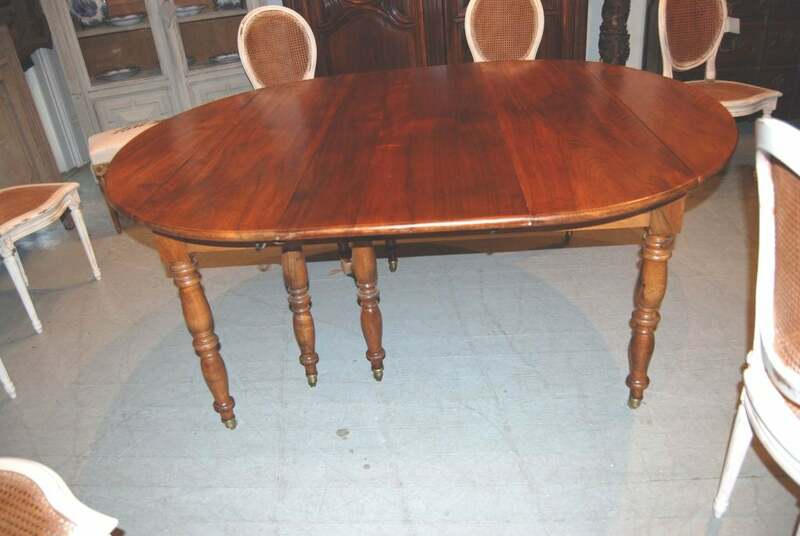 French 19th century trestle table. 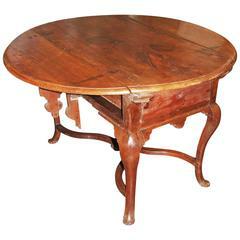 19th century Tuscan dining table with a Rosso Verona table top. The legs of the table base are hand forged in a scrolled design. Wear consistent with age and use. 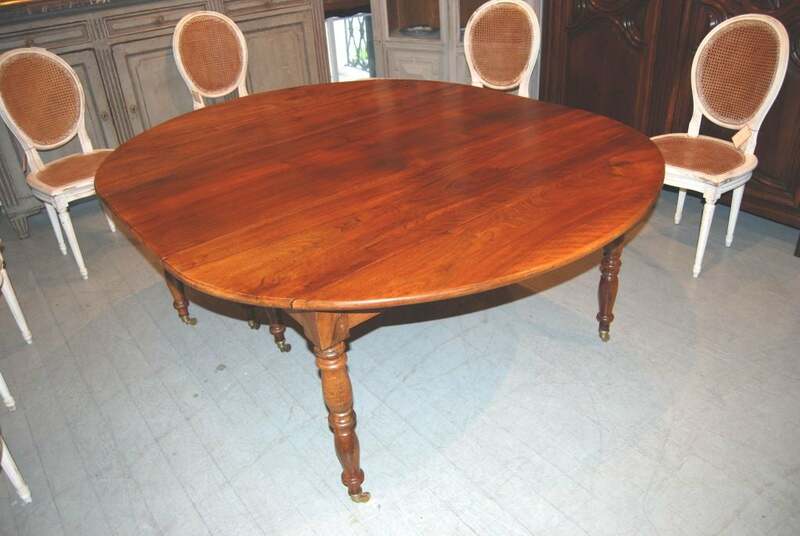 Found in England, this round chestnut table top dates from 1880s. 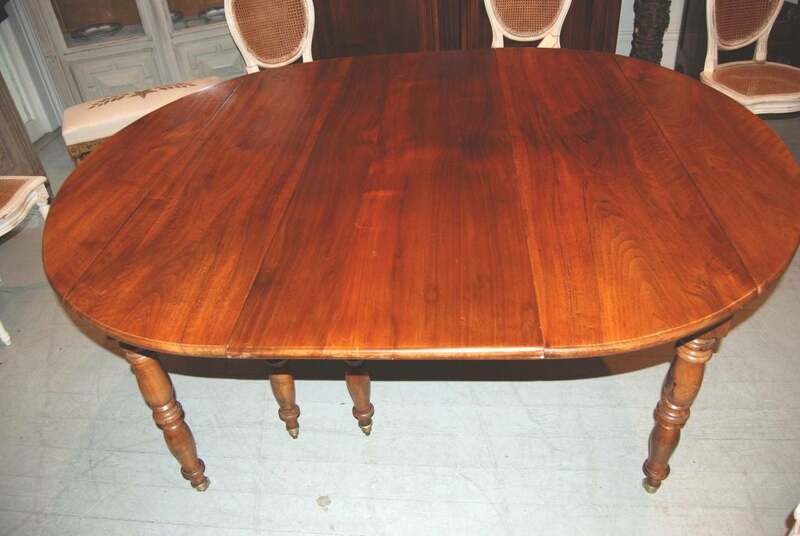 Mounted on a new base, this handsome table is perfect for use as a breakfast or smaller dining table.